LumioTM is a compact capsule coffee machine with minimalist design, a 1L water tank, and XL beverage function. Its 18cm (W) x 37cm (H) x 22cm (D) may make it small but LumioTM still gives maximum coffee options. With Lumio’sTM up to 15 bar pressure system you will enjoy a professional coffee with a thick, velvety crema. Take your pick from over 30 high quality coffee creations: choose from our range of intense espresso, smooth cappuccino, aromatic Grande, even hot chocolate, teas, and many more. The adaptable LumioTM capsule coffee machine can prepare not only hot, but also delicious cold beverages. 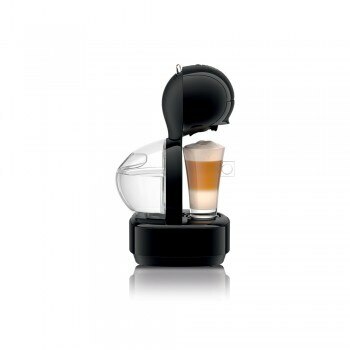 A discovery box of six assorted capsules is included with the LumioTM capsule coffee machine, so you can create delicious beverages right away. If the on/off button of your machine has turned orange, it´s time to descale! For more information about the automatic descaling alert on your NESCAFÉ Dolce Gusto LumioTM machine, click here. 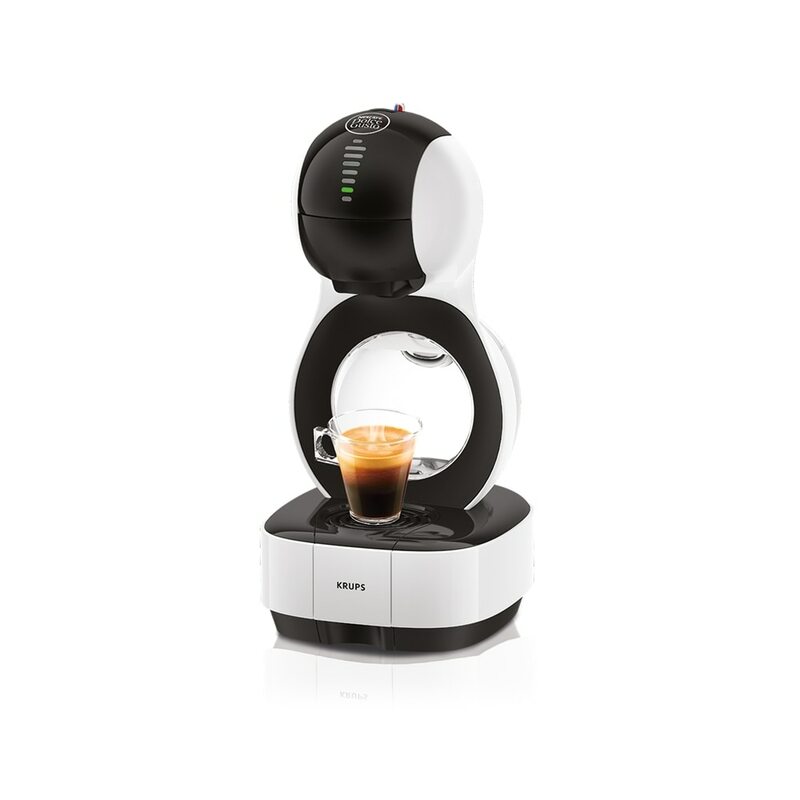 This warranty applies to all products with Krups and Dolce Gusto brands (both brands on the unit must be present). 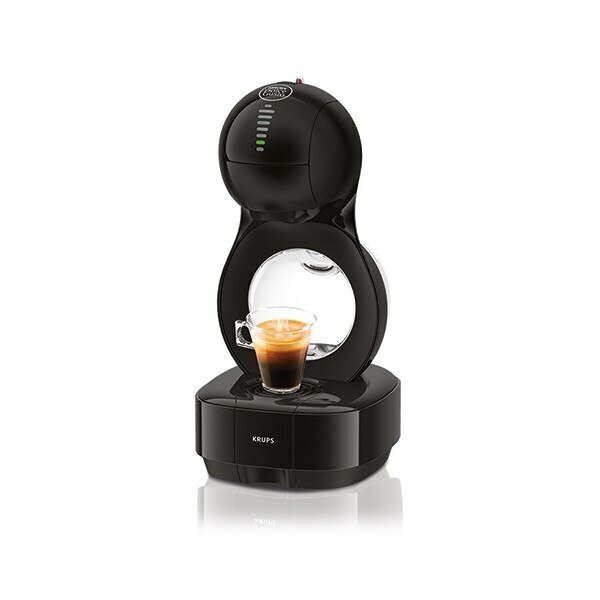 If repairs become necaessary, see contact information below: UK Customers: Please contact Nestlé Dolce Gusto at 0800 707 6066 or log onto our website at www.dolce-gusto.co.uk. The above warranty is in lieu of all other express warranties and representations. All implied warranties are limited to the applicable warranty period set forth above. Krups/Dolce Gusto does not authorise any other person or company to assume for it any liability in connection with the sale or use of its appliance. This warranty gives you specific legal rights, and you may also have other rights, which vary from country to country.